There’s nothing like working with a good sound designer to make that film you’ve been working on for years finally feel real. Mixing a film that takes place in and around water, surf and the beach is not easy. Jeremiah overcame those challenges, and created a soundscape of water and waves to bring the ocean to life and make it a character in the film. My DP (Mike Palmieri) kept turning to me throughout our Full Frame premiere in awe of your work. Those who understand and appreciate quality sound LOVE and gush about your mix/design. I couldn’t be more proud. I’m a sound explorer, artist, maker, sound designer and mixer, and a born transdisciplinary innovator and collaborator. First off, if you want to hear my work, my reel is here. I love interesting challenges, good stories and unique experiences, and I love conjuring worlds and making projects come alive with sound. I’ve been collecting sounds for over 25 years and have an extensive library of custom material — from the old East-Berlin S-Bahn to the deserts of New Mexico, to the eerie chorus of wind through an aluminum windowframe, to the tactile whisper of a finger slipping along a textured surface — which comes into play on nearly every project. And then there are the projects which require new unique sounds to be created using materials, microphones, processors, and synthesizers. Feathers in cap: one Oscar-Nominated short, one Oscar-shortlisted. Work for major brands, agencies and studios. Work heard on NPR, PBS, Netflix Originals, and winning awards at festivals from Tribeca to SXSW to Full Frame and IDA, and that’s just a beginning. See IMDB. My team and I are excited to learn about your project, and see it through to fruition. Let’s be real: if there were a golden age of sound, it’s now. The tools and techniques available are of astounding power and ready availability. We deliver powerful mix in stereo through 5.1 for cinema, home theater, and broadcast…or in binaural, ambisonic 360/VR, or whatever custom array you dream up. For cinema projects, we have options for final mix or printmastering sessions in theatrical mix stages. Sound Design from subtle to epic. Terabytes of custom library material. State of the art tools and software for sound synthesis and processing. Custom field recording. Frameless media, 360, VR, AR, and MR are here…and are also still arriving. Immersive formats have unique characteristics and challenges, and we rise to them with curiosity and care. From Oculus and FB360 to YouTube 360 to in-engine formats, ambisonic mixing and object-based formats, we are ready. We can oversee every aspect of your project’s audio post needs, from dialogue editorial to Foley, ADR, design and mix, and delivery of assets in whatever formats are called for. Whether honing direction for a custom score, or helping select music cues, our focus is to deliver what your project needs. This can mean developing a sonic signature that represents your brand, like the well known Intel and AT&T sonic logos. It can also mean devising a “sonic look and feel” sound asset package and/or toolset and style guide for UI/UX. The process can be simple — involving a few iterations and work sessions — or can be a deep exploration, depending on the brand and the needs. Haptics means touch, vibration, tactile sensation. Immersion, Inc. ships a full end-to-end haptic system on Android platform known as TouchSense. As a consulting partner in the development of the TouchSense authoring toolchain, we have more experience than just about anyone in creating custom haptic-tracks for linear media. Stop by and you can feel some demos. Immersive VR/AR/MR/360 sound design and mix. On-site mix for exhibits, installations, and special presentations. Development and strategy for custom multichannel deployments. Custom formats are a specialty. Jeremiah Moore is available to consult on tools, technologies, workflows, and techniques across an array of creative intersections of sound and other disciplines. Some things I’m involved with. The TANK – a post-industrial sonic cathedral in remote northwest colorado, now an internationally renowned center for sonic arts. I’m a founding member and serve on the board. Read about us in The New Yorker (*), the LA Times (*). 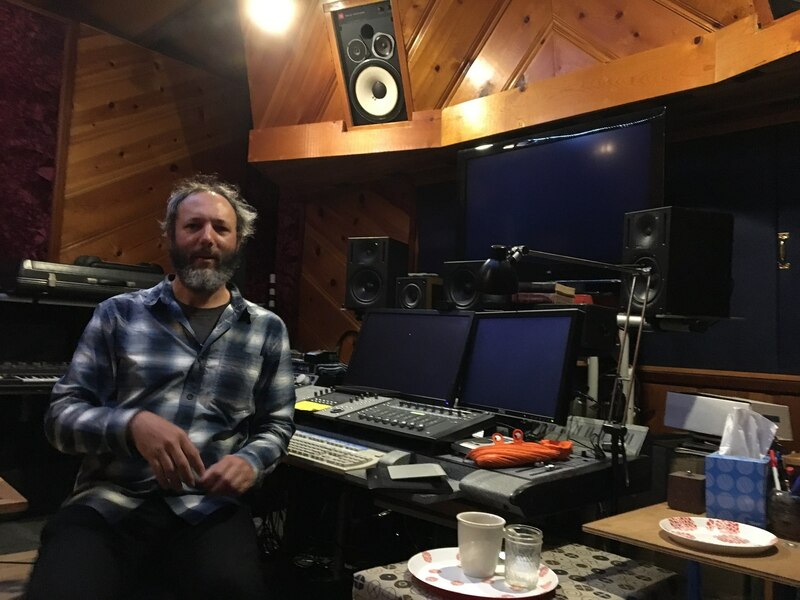 Bay Area Sound Ecology – working at the intersection of soundscape and human culture. 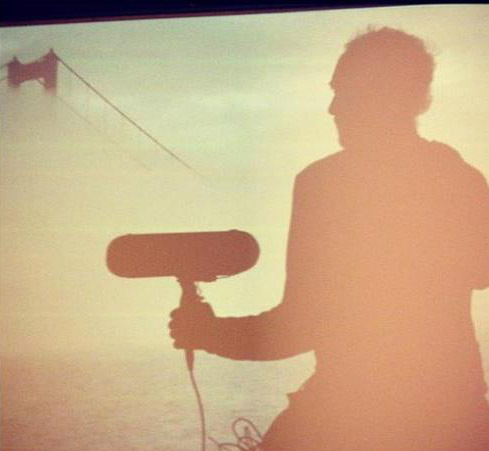 With Bay Area Sound Ecology, we’ve hosted listening salons and public events. Jeremiah Moore Sound operates from Studio E within the historic creative enclave Hyde Street Studios. We are in the Tenderloin district of San Francisco. new school but a bit further. All street parking is metered. Jeremiah Moore is a member of Moment Audio, a design collaborative for special venue and exhibit projects consisting of Jeremiah Moore Sound, Andrew Roth’s Roth Audio Design, and Jim McKee and Earwax Productions. Notable projects include “@LARGE Ai WeiWei at Alcatraz”, artist Doug Hall’s Wittgenstien’s Gardens and Chrysopylae, and the detention barracks at Angel Island Immigration Station Museum.